9st 2, cigarettes smoked in front of Mark 0 (v.g. ), cigarettes smoked in secret 7, cigarettes not smoked 47 (v.g.). Bridget's second diary ushers in a reformed woman. She is no longer a smoker (well, not much), the wilderness years are over, and she is at last united with man-of-her-dreams Mark Darcy. But things aren't perfect: there's an eight-foot hole in the wall of her flat, she's increasingly worried about a certain boyfriend-stealing beauty, and her friends' mad advice is getting her nowhere - something has to change. And so Bridget decides to embark on a spiritual epiphany to the palm- and magic-mushroom-kissed shores of Thailand. Surely it will be the perfect place to set her life on course once and for all . 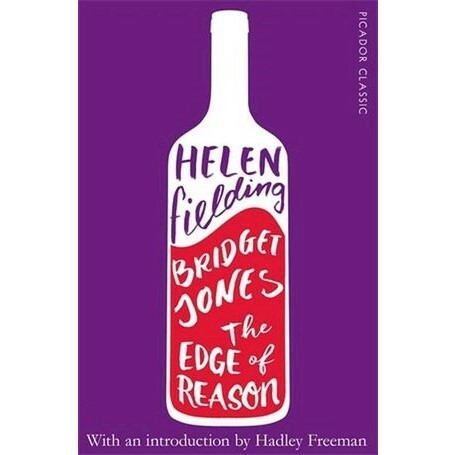 . .
Bridget Jones: The Edge of Reason is Bridget at her best: funny, wise, and, as ever, a little bit sloshed. A number-one bestseller by Helen Fielding, it is, alongside Bridget Jones's Diary, a modern classic and one of the funniest books you'll ever read.